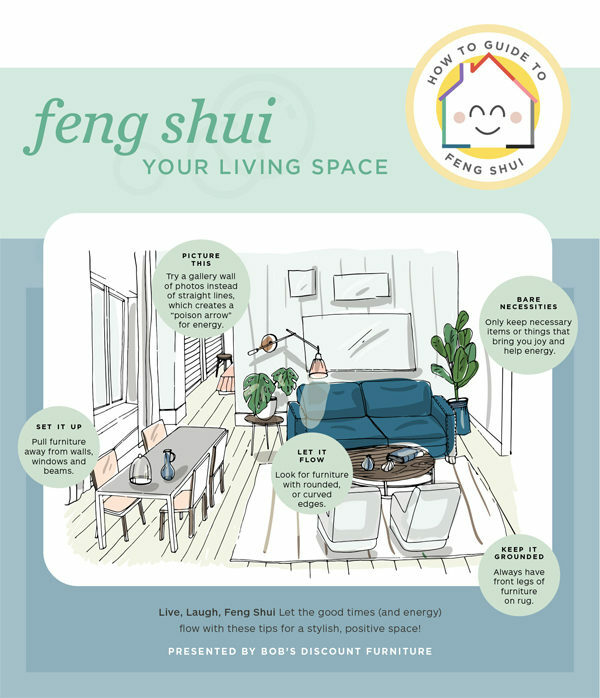 Feng shui is often misunderstood as a confusing, robust practice that is difficult to incorporate into your home. However, in reality there are plenty of small takeaways from this ancient Chinese art of arrangement that can create a more positive and pleasing environment. 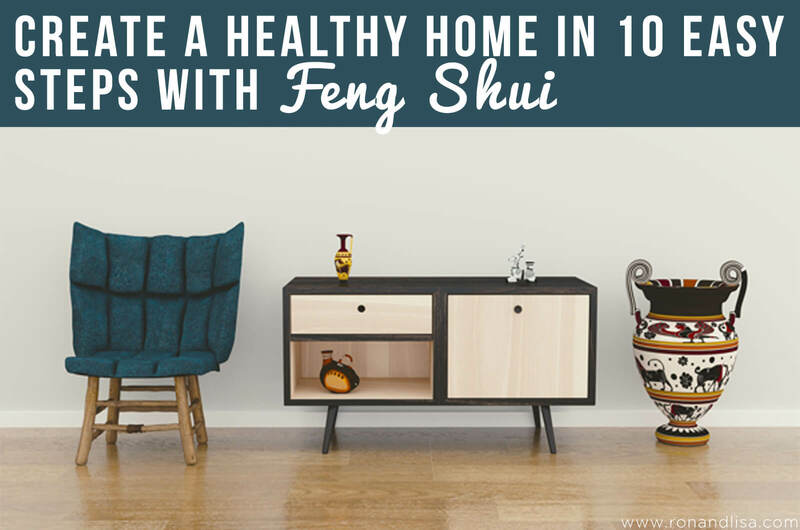 To start, there are several core principles in feng shui that are important to understand. 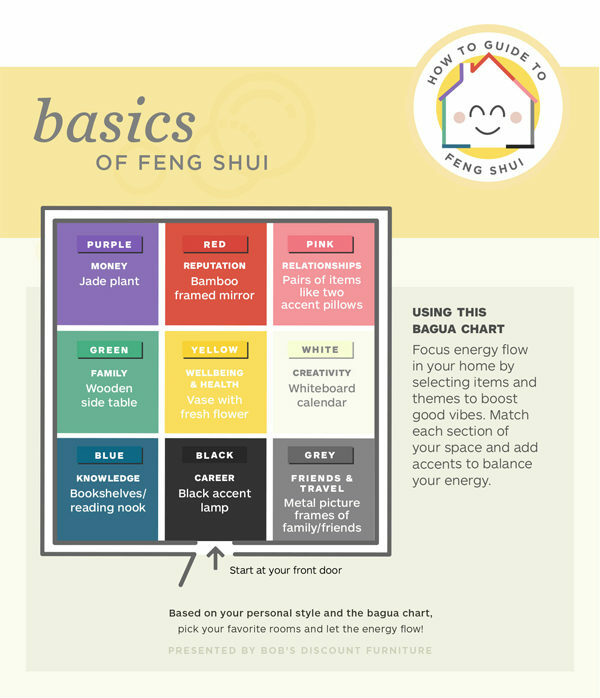 The first core principle to implementing feng shui in your home is the bagua chart. Use the chart to separate your home into nine different divisions, each representing an area of life. Start at your main entrance and then line up the chart with your home’s floor plan. Add colors, accents and objects into the space that coincide with each section to improve the quality of your desired life spheres. Another core principle in feng shui is the flow of chi, or energy, within a space. There is both active and passive energy, known as yin and yang chi respectively. These energies are most effective in their corresponding locations. So, for example, yin chi would thrive in areas where relaxation and tranquility are meant to exist like the bedroom or bathroom, while yang chi does well in spaces that are productive, such as the kitchen or office. 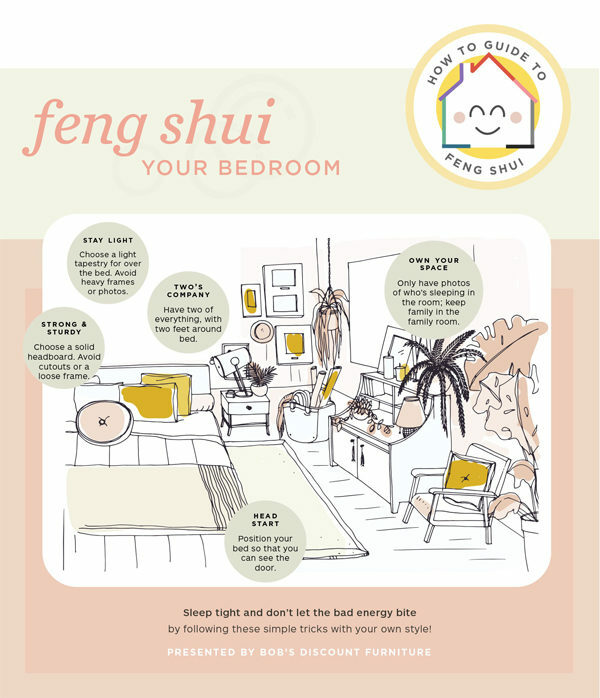 Next, are the five feng shui elements that can be included throughout the home to better optimize for better fortune. Each of these elements has specific colors, shapes and materials that will help to boost the likelihood and influence of their chances of occurring. There’s more to feng shui than colors, accents and materials. Everyone could use a little more positive energy in their life, so reap the benefits of this decor style by paying closer attention to how you position your rooms. Take a look at the following tips on how to arrange your home and better allow positive chi to flow through your household! When regarding your living room, there are various other changes you can make to better the passage of chi. Yang energy is a great aspect to incorporate into your living room particularly if it is in the same space as your kitchen. Make sure the area is well lit with plenty of inspiring colors. 1. When setting up your space, make sure all furniture is pulled away from windows, beams and walls. This creates more security in your home that allows you to truly indulge in a relaxing movie marathon on the couch. 2. Avoid “poison arrows” of energy from building up in areas of your home by utilizing design techniques such as gallery walls. Rounded frames and mirrors are another great way to prevent bad energy from accumulating at pointed angles and harsh lines. 3. Take tip #2 a step further and incorporate curved edges into living room focal pieces like sofas. If you’re due for an upgrade, consider pieces in different lengths and sizes that can be delivered to your door. Convenience and durability are sure to create more positive vibes. 4. Decluttering is a cardinal rule in feng shui. Reducing the amount of unnecessary messes allows energy to move more freely throughout a space. Prevent negative chi from gathering in your home by making sure the objects within spark joy rather than create chaos. 5. Finally, when arranging your living room make sure that the front legs of furniture are always on a rug. This plays off of the security aspect seen in tip #1, strengthening the stable energy within a room. As mentioned before, the bedroom is the perfect place to bring in some yin qualities. Tranquility and relaxation should be at the forefront of design, with plenty of calming colors and soft lighting. There are several arrangement methods to keep in mind. 6. As seen in the living room, creating a secure atmosphere is of utmost importance especially in a place where much of your time is spent asleep. Having a solid headboard, free of cutouts or loose frames, is one way to accomplish this. 7. Choose light pieces of artwork that align with feng shui’s need for effective energy flow. Tapestries and canvas art are viable options while heavy frames or mirrors are something to stay away from. 8. Keep items in the bedroom in pairs, particularly if your room falls in the relationships sector of the bagua chart. Symmetry creates an added touch of positive chi within a space for a better feng shui practice. 8. Further enhance security by placing your bed in the commanding position of the bedroom. The bed should face the door but not directly at it, usually diagonally if you have the space. Also, ensure the bed is not placed under any windows. 9. Finally, claim your space. Only keep pictures of the person or people sleeping in the bedroom to focus all of the positive vibes on the inhabitants. Feng shui is an age-old practice but it’s not successful without adding your own personal flair. The key to a healthy home life does not fit in a single box — remember to stay true to yourself and a happy, healthy home is sure to follow!